Coating thickness meters are used for non-destructive measurement of coatings such as varnish, paint or plastic of metallic surfaces. The new PeakTech 5220 operates according to the Eddy current principle and is suitable for ferrous metals (Fe), such as sheet steel and non-ferrous metals (Non-Fe), such as aluminum or copper. 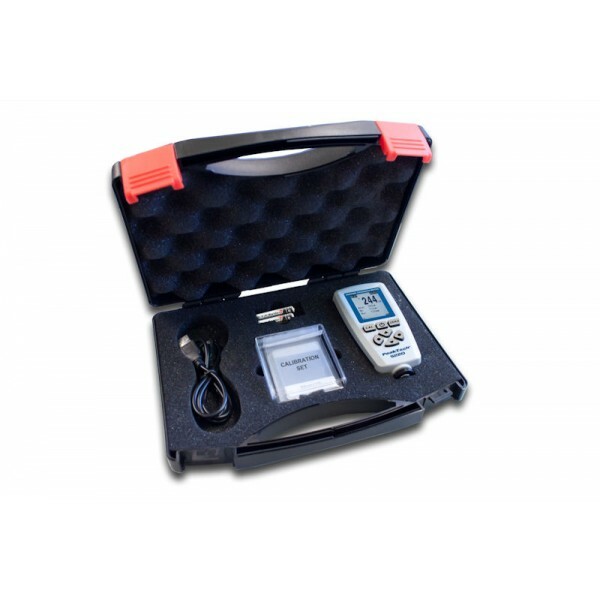 This instrument works with high precision and has a German and English user interface with menu control on the well readable matrix LCD display with backlight. In addition to the high variety of measurement functions, such as minimum and maximum values, mean, high and low alarm and much more, this model also has an internal data memory with four measurement groups. The stored measured values can be read via a USB cable with the included software and further processed as a text file or Executable. 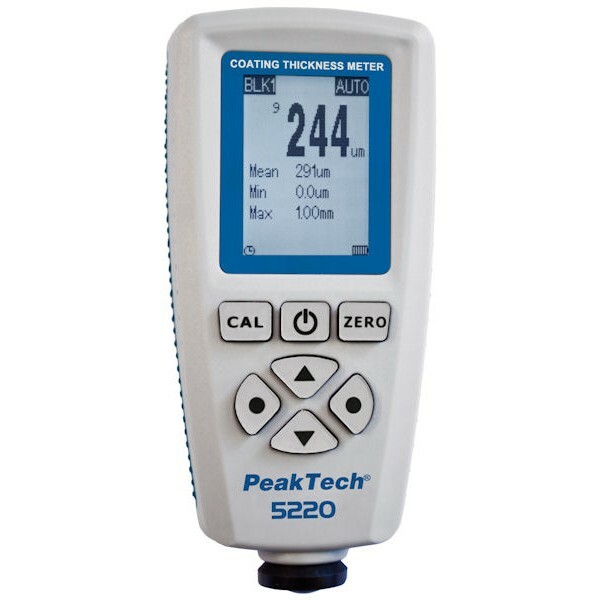 For increased accuracy the PeakTech 5220 provides an easy-to-use calibration and zero set function. This instrument is particularly suited for the testing of varnish strengths in the automotive industry, for painting and paint shops, plating or other anodization in the industrial metal coating process.